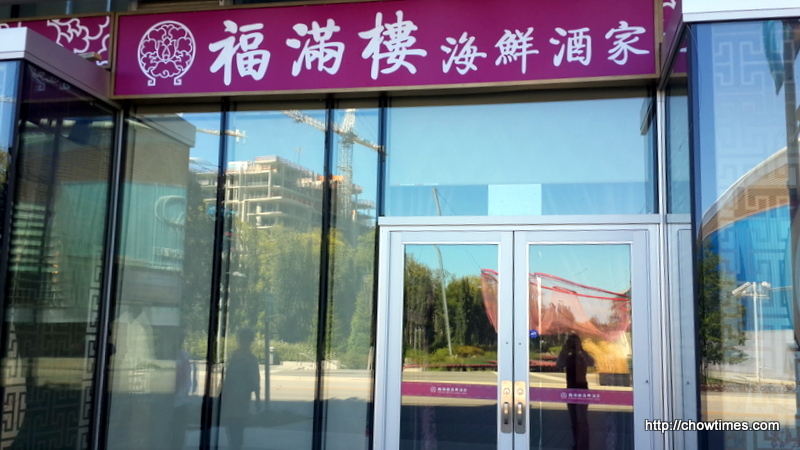 Once again, the praise dance group at the South Arm Park went for dim sum after the practice. This is the 2nd last practice in the park. 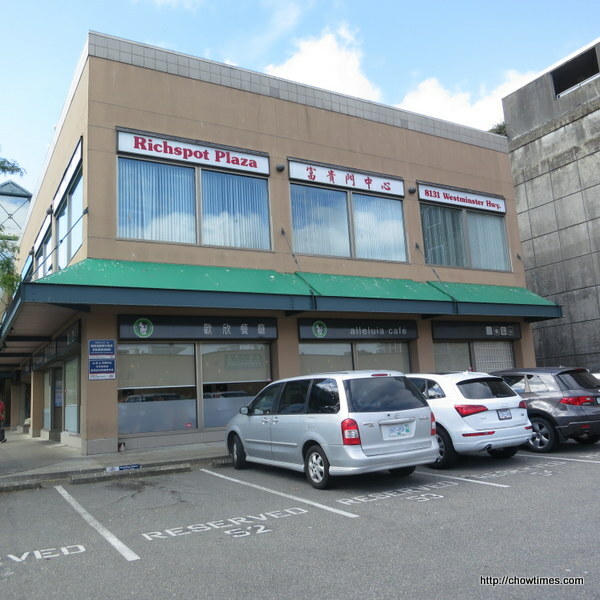 This group belongs to the Success organization and their regular practice place is at the Richmond Public Market, on Thursday morning. 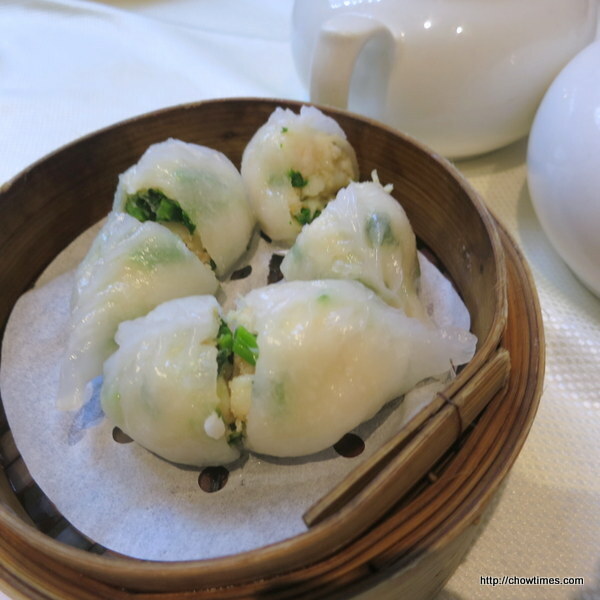 This time, we had dim sum at Sea Fortune Restaurant on Granville Ave and St. Albans Road in Richmond. We were seated in a separate room at the back and occupied the largest table which can seat 18 people. Here are the items that we had. 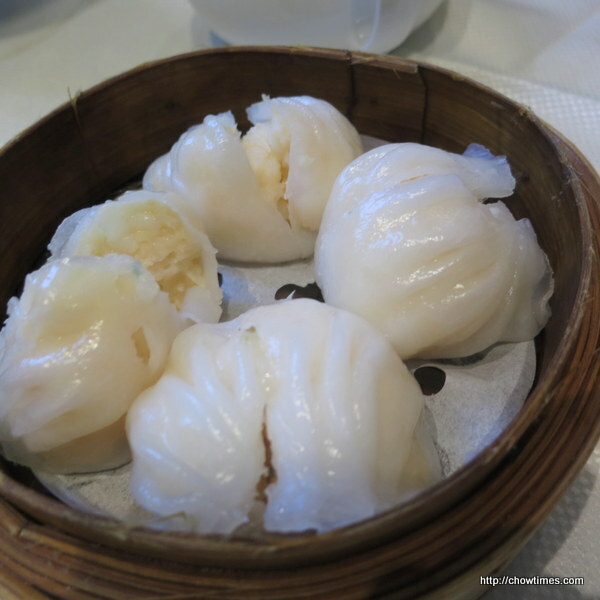 Prawn Dumpling which are quite big and bouncy. Ben drove down to Seattle to pick up Arkensen after the Dota International Event was over. 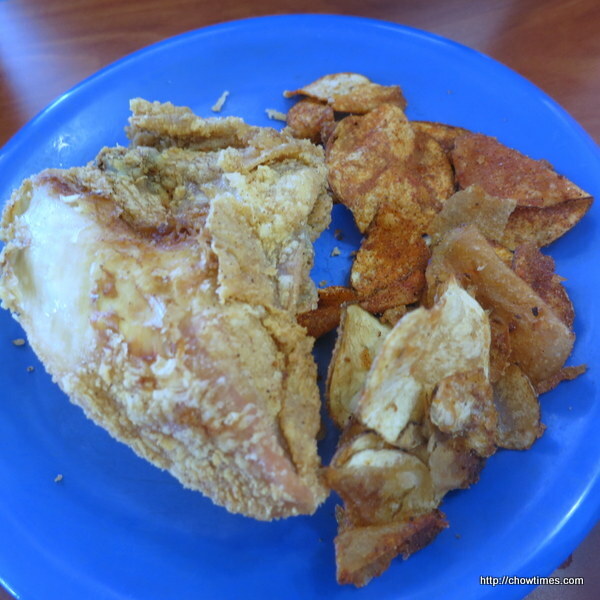 On the way home, we stopped by Golden Corral Buffet & Grill to have lunch. 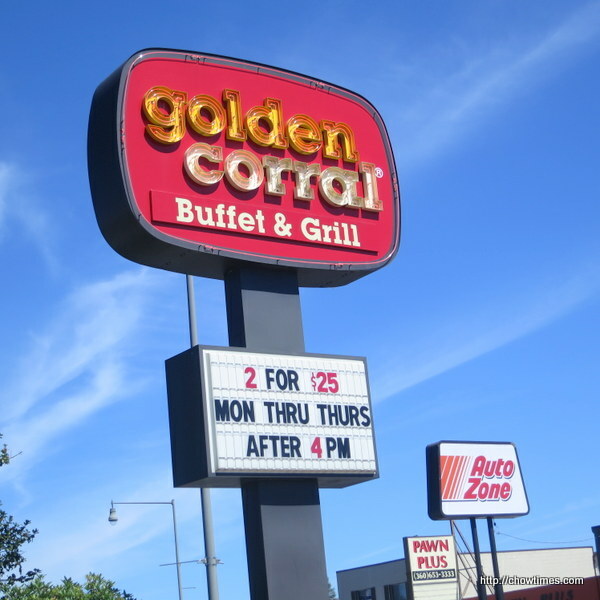 It’s been a long while since we had a buffet meal. 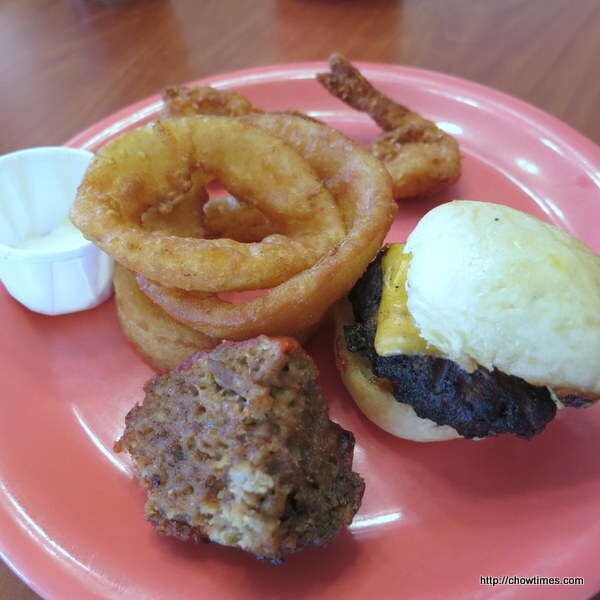 Here are some of the food we tried, onion rings, meat loaf and slider. 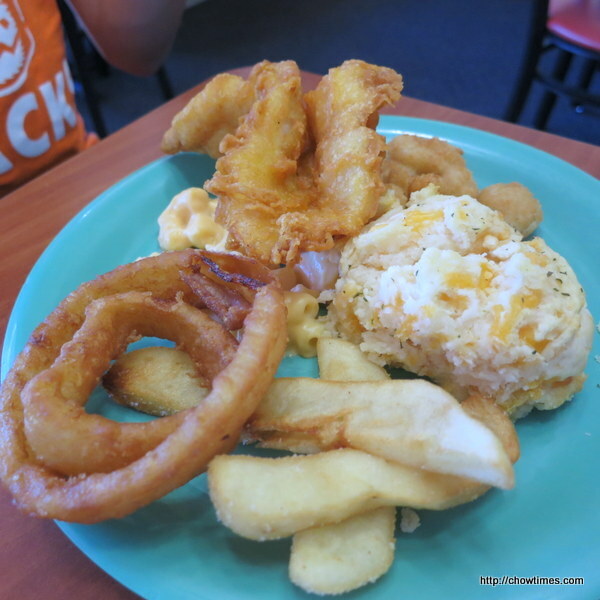 Cheese scone, deep fried fish filet and fries. 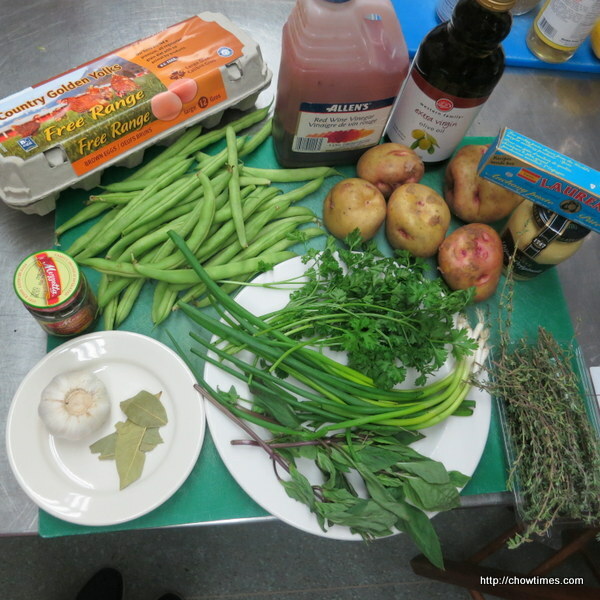 The South Arm Community Kitchen rounded up the meal with some healthy cookies. 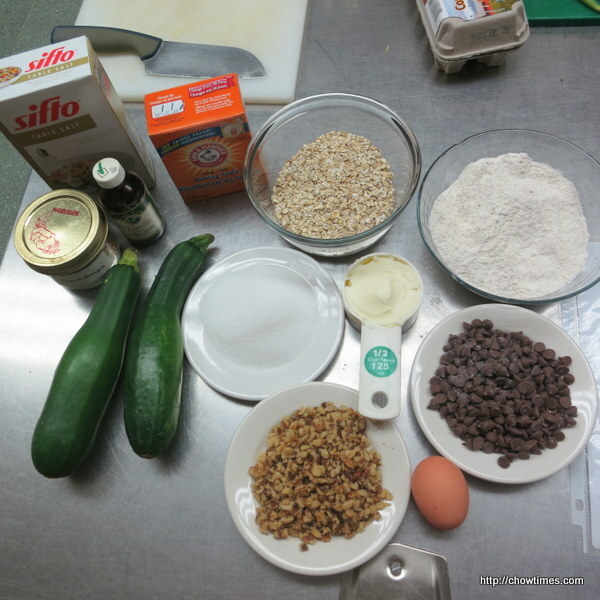 We made this Zucchini, Oat Cookies in two batches, one with chocolate chips and another with raisins. 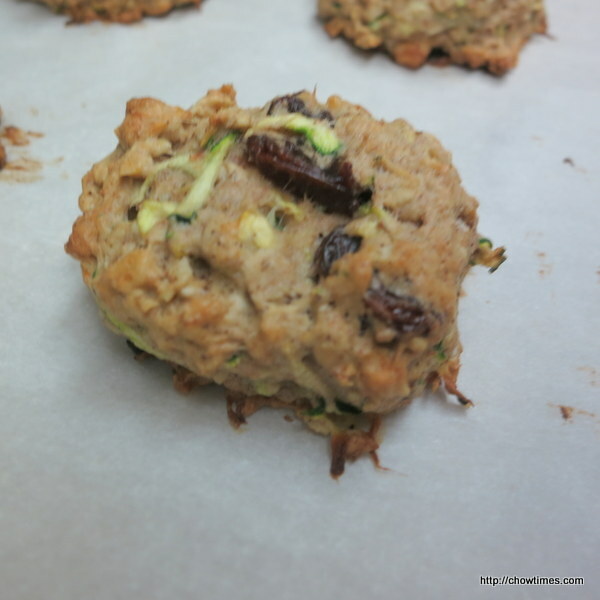 This is a healthy breakfast cookie and great for snack too. 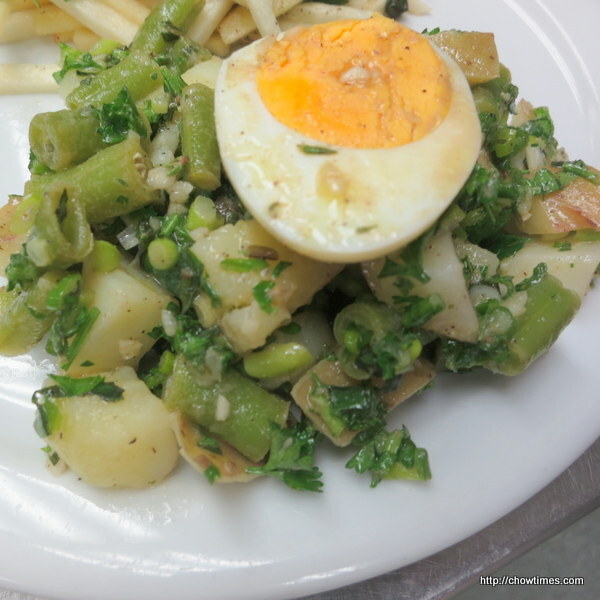 The South Arm Community Kitchen made a French Potato and Green Bean Salad for the main course. The South Arm Community Kitchen met at Gilmore Park Church again one more time for the summer. 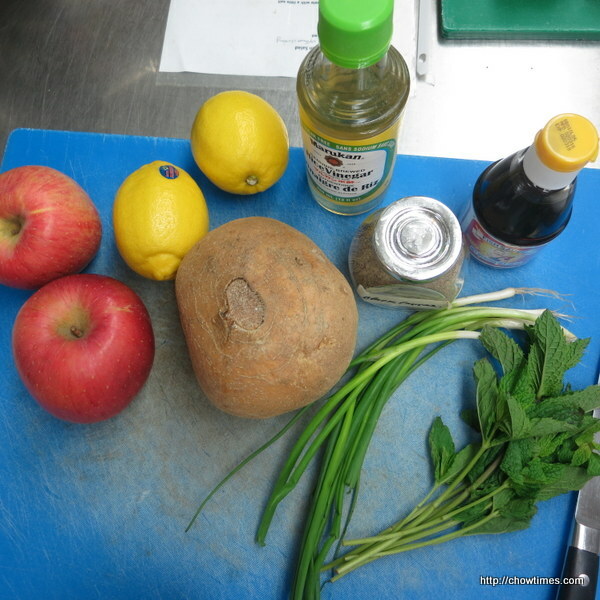 We started off with an Asian Apple Slaw recipe. 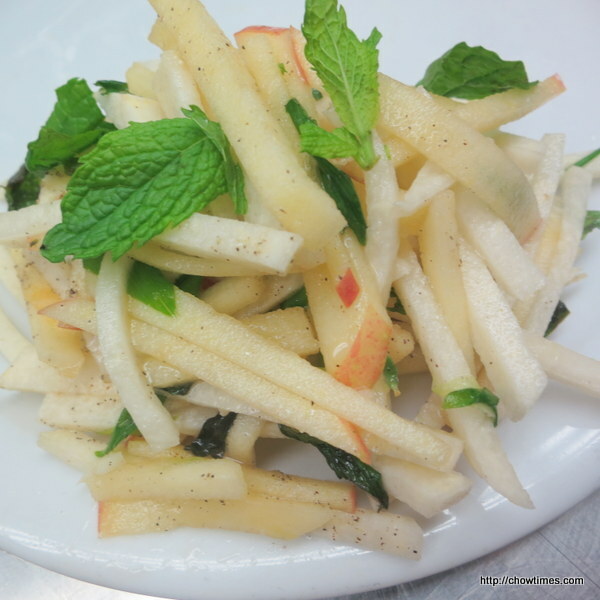 This recipe is a good source of potassium and Vitamin C. The mint makes it so refreshing. Jicama can be eaten raw or cooked. It is high in dietary fiber, low in saturated fat, cholesterol and sodium. During the summer, I joined another praise dance group which takes place in the South Arm Park. This group goes to dim sum after every practice but I have not join them until this time. 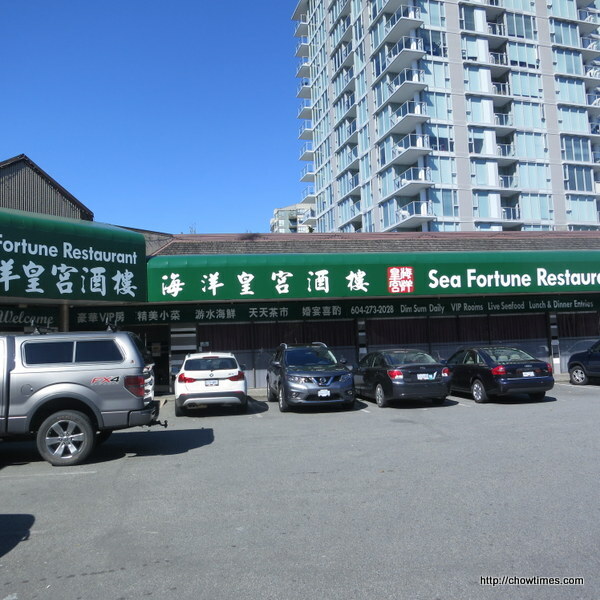 We went to the relatively new Fortune Terrace Chinese Cuisine across the Oval on River Road. 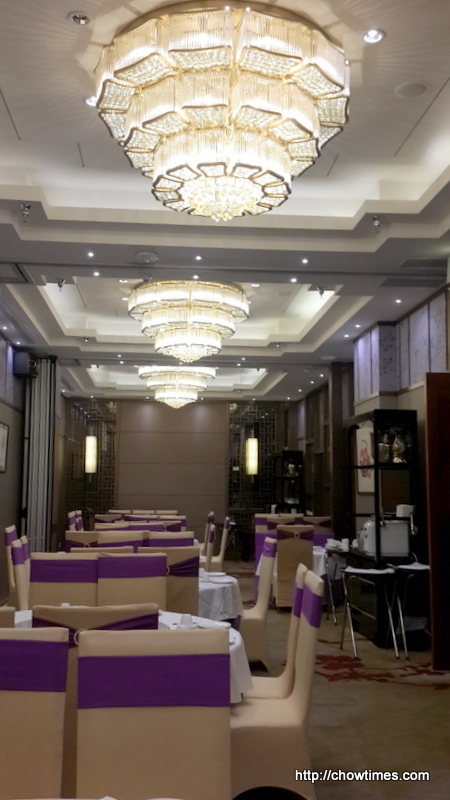 The restaurant is decorated quite lavishly. When we arrived before 11:00 AM, the main hall was already full. So, we were seated in a back area, sort of a separate room. We had a large table as there were 16 of us. 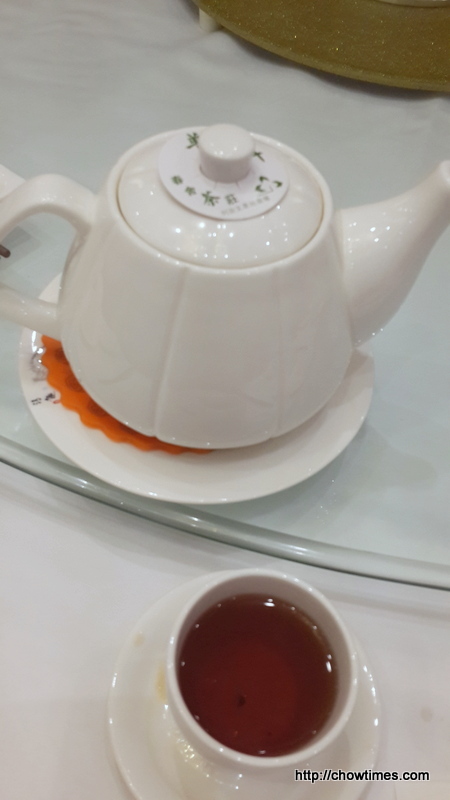 Tea is free of charge because one of the participant has a VIP card. She managed to get the VIP card for everyone. 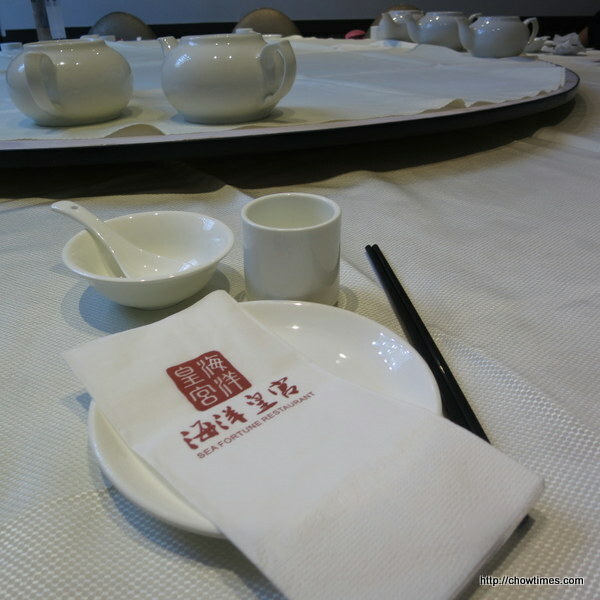 The VIP card entitles for free tea and 12% discount except for seafood menu. 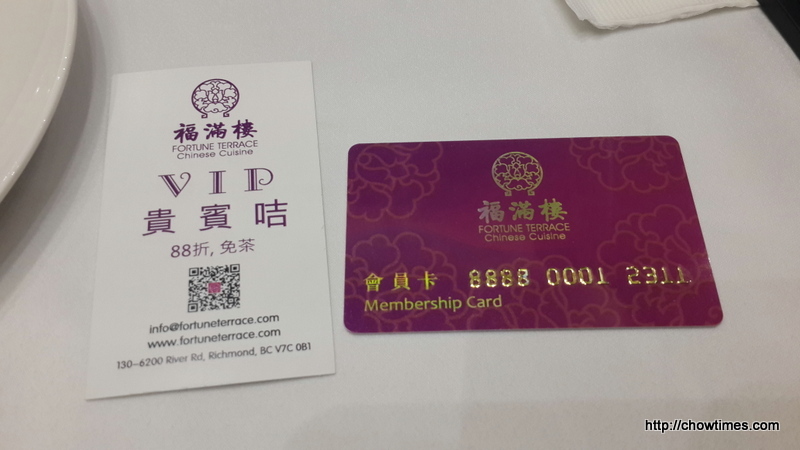 The VIP card on the right was given out in the early days of opening. Now, they switched to a more economical type of paper card, :-). 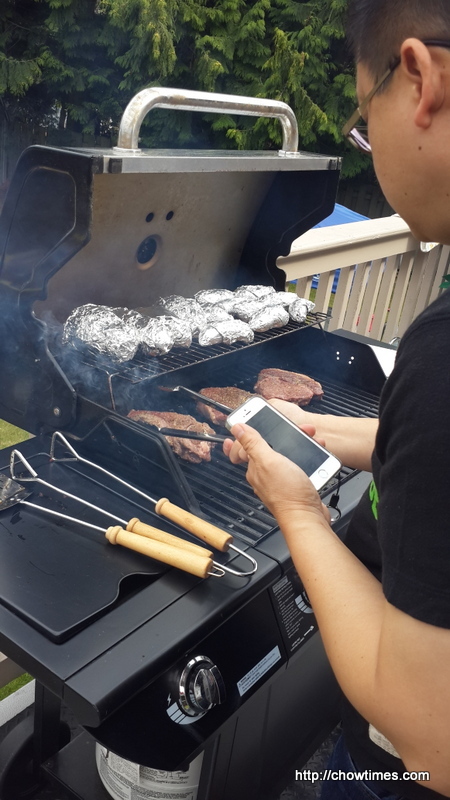 Our group of Southeast Asian friends got together for a summer BBQ. It’s sort of a house warming event too. 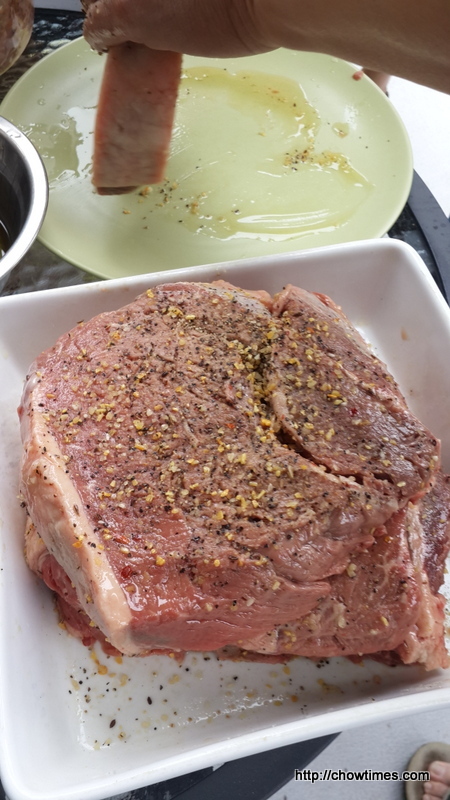 The star of the BBQ event is beef steak. 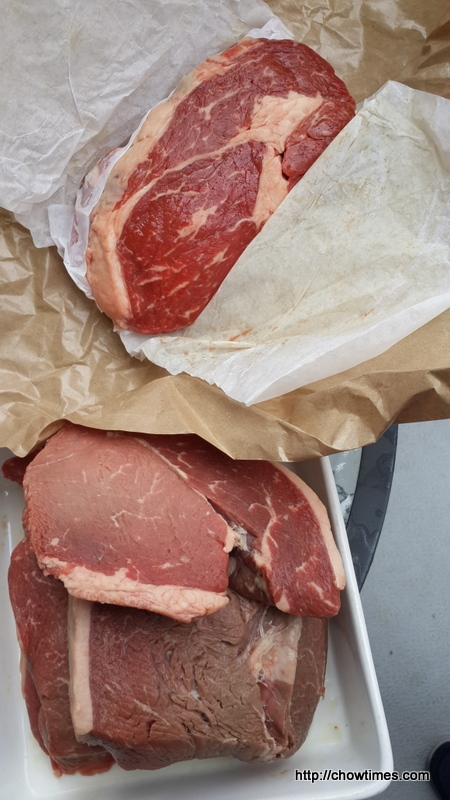 We had steaks from different sources. Sweet potatoes on the side. The one in front was from Costco while the one on the back was from local farmer. 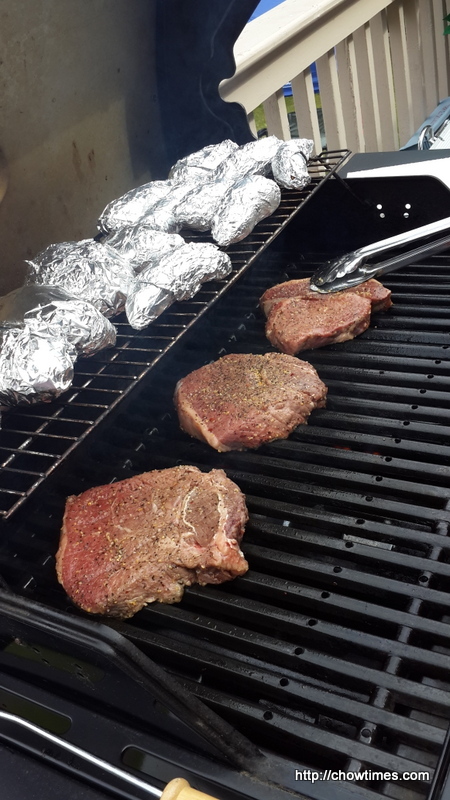 Some of the steaks were marinated and some were just seasoned with the Keg’s steak seasonings. Arkensen is going for watch the Dota International Tournament in Seattle again. I heard that the pool prize for this year has risen to 20 million. The competing teams are all professional gamers whose full time job is playing computer games. Anyway, since Ben was away for his monthly business trip already, Arkensen has to take the Greyhound bus to Seattle. 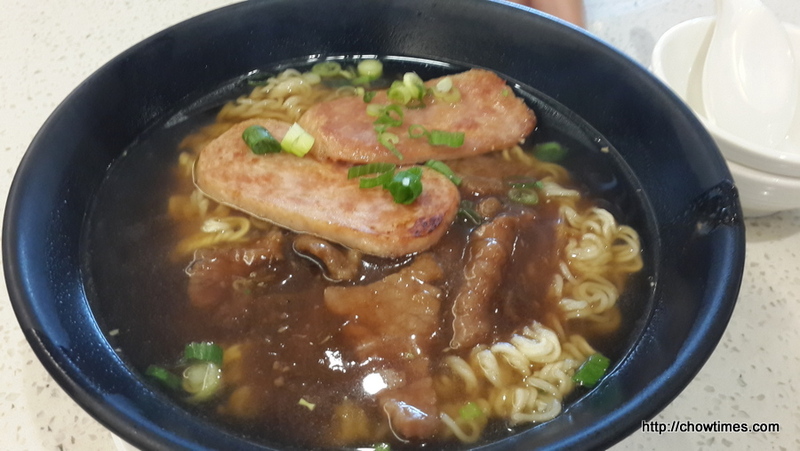 Before his trip, he wanted something Asian for his breakfast as he will be eating Western food for a whole week. He ordered his favourite Satay Beef with instant noodle. 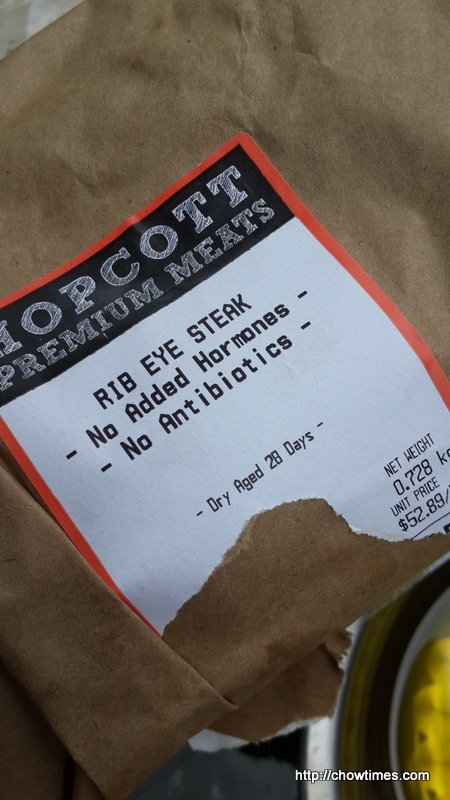 Besides the satay beef, he got to choose another ingredient which he opted for luncheon meat. He likes this dish here because there is no green and red peppers which he considers contaminating it. His noodle came with a drink. Sorry for the blur photo as I took it with my cell. 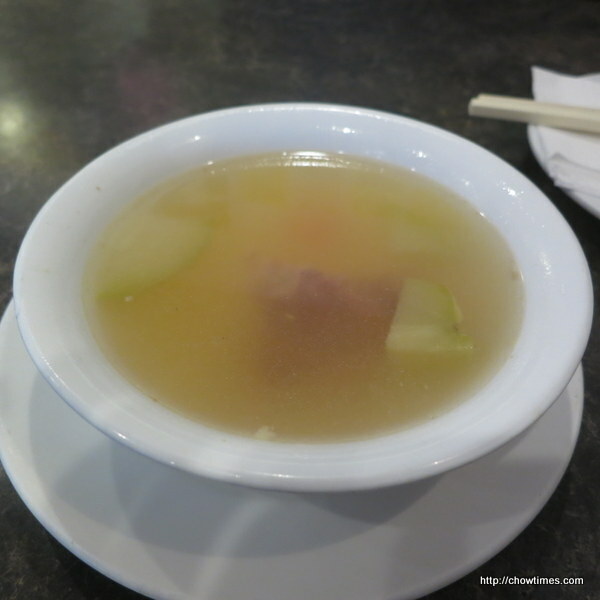 Nanzaro ordered the Congee combo. 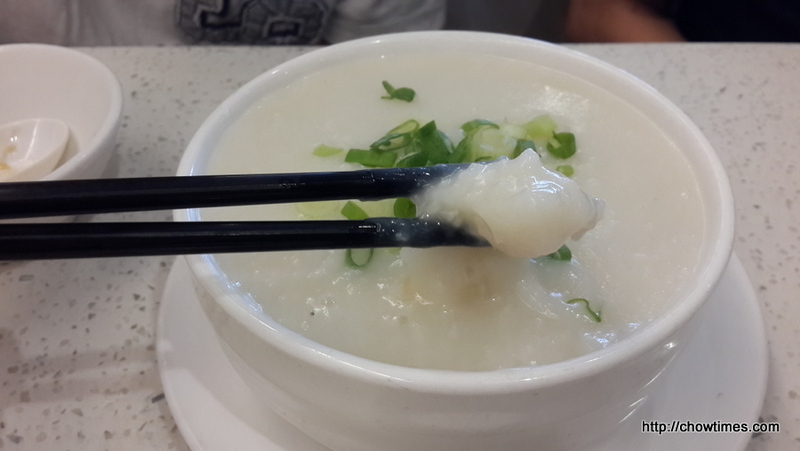 His choice of congee is Fish Congee. The congee is already seasoned. Nanzaro opted for the Steamed Rice Roll with his congee combo. 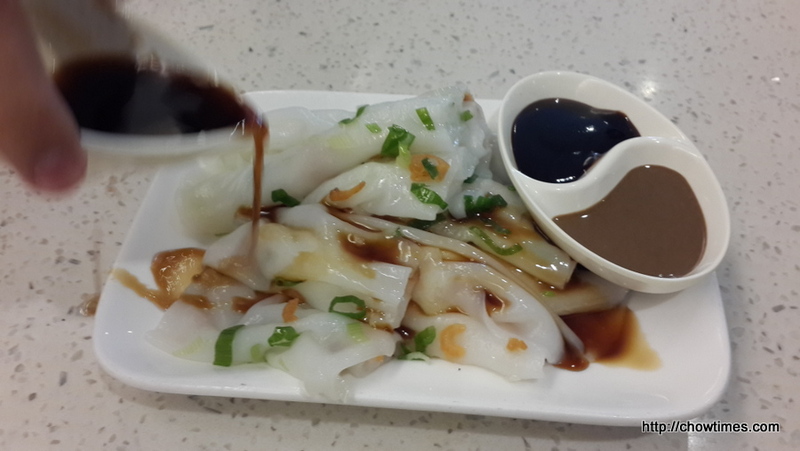 The rice roll is very soft and tender. 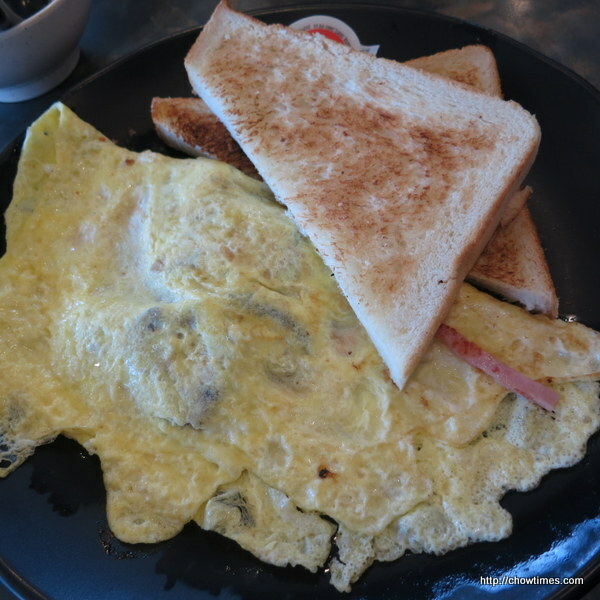 I just a bit of Nanzaro’s food as I already had my breakfast earlier before I went for my morning walk. The bill came to $18 with tax and tips, cash only. After breakfast, I drove Arkensen to the Pacific Central Train Station to catch his bus. 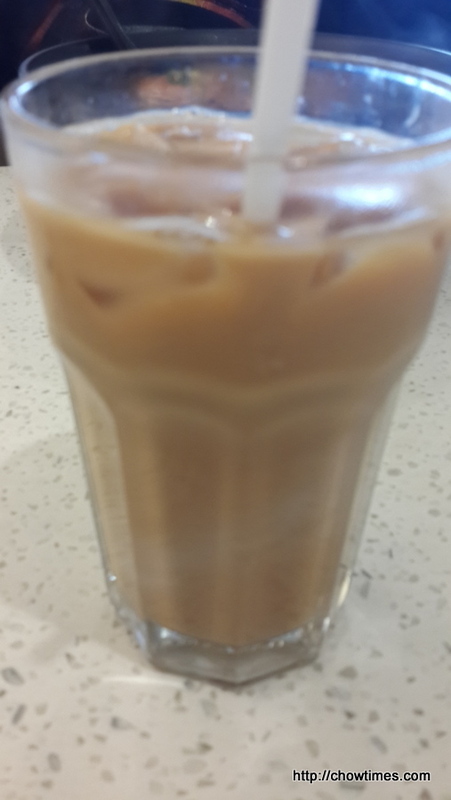 It’s been a long time since we last visited Alleluia Cafe. One of the main reason we have not been back here is the parking which is really impossible at peak hours. 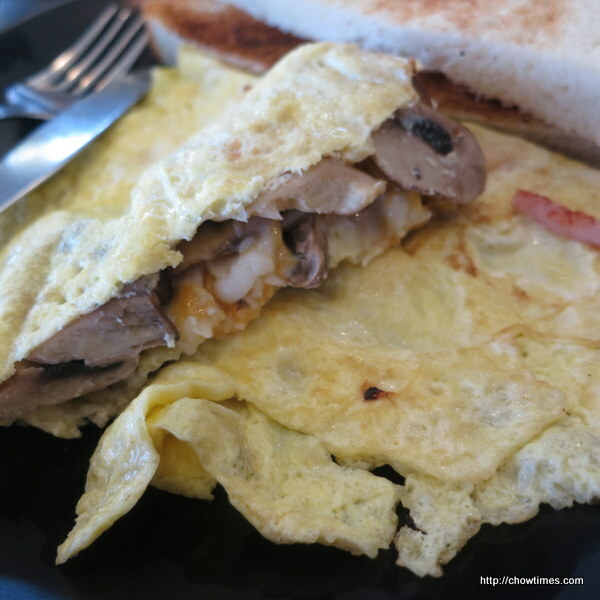 I ordered the Cheese and Mushrooms Omellete with toast. Of late, Ben’s obsession is soy sauce chicken. He loves the umami taste of the soy sauce. 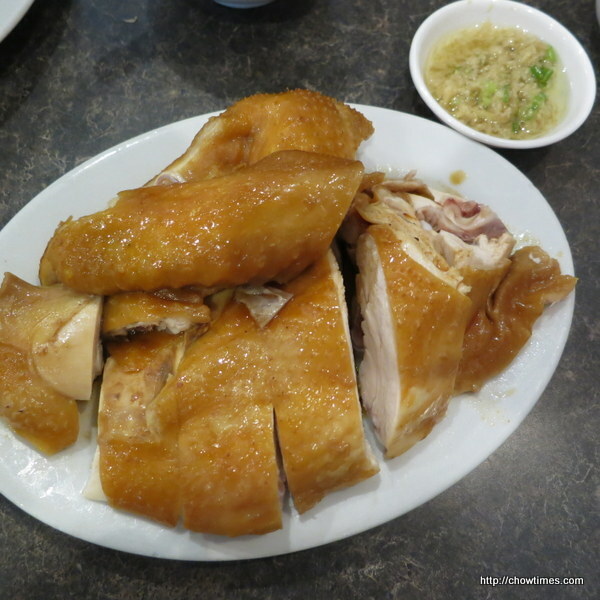 We went to Specialty Chicken & Wonton House for an early lunch after our weekend walk. We ordered from the lunch special. 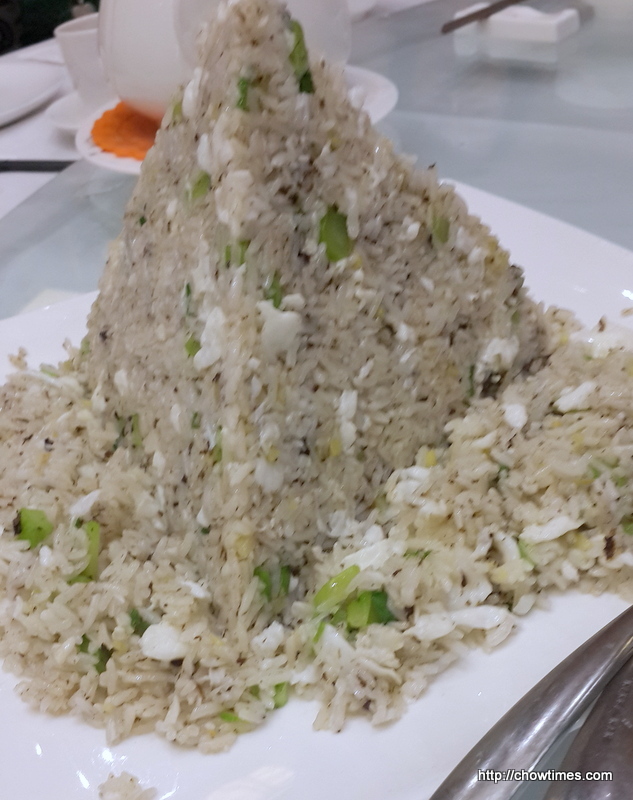 Soy Sauce Chicken Rice is $9.45.